This may or may not be what you think it is about. Have you ever heard the quote, “I love a good love story, but ours is my favorite.”? It’s so cheesy, it clogs your colon, but I love it. It is also exactly how I feel about Ethan and I’s story about how we met, fell in love, got married and are working hard every day to have a greater marriage than the last day. Obviously, there is no greater love story than when Jesus came to Earth as a baby, just to grow up and die on the cross for our sins simply because He loves us so much. That will forever be Number One. “For God so loved the world that he gave his one and only son, that whoever believes in him shall not perish but have eternal life.” John 3:16 NIV I love Jesus, He is my Lord and Savior and I am so thankful to have a relationship with Him. Maybe we will talk about His amazing love story for us in the future. This week, however, I want to open up about Ethan and I specifically. I believe that this will help me be more vulnerable with my readers and be even more relatable with you all. In my blog, Hi, Nice To Meet You., I gave you some of my backstory, how I grew up, my lifestyle, and told you how Ethan and I were married. In this blog, I want to give you more details about our relationship and how God perfectly orchestrated everything for us. For myself, I was a little boy crazy from middle school and on. I always wanted to be “one of the guys” and spend more time playing wiffleball, than I wanted to play with Polly Pockets. From this, I allowed my heart to be broken more than I should have, and I focused more on finding a good boyfriend than I did finding a deeper relationship with The Father. This caused me to be very “of the world”, I had issues with self-confidence, and I was so caught up in trying to be a “people-pleaser”. This was truly a struggle for me all throughout middle school and high school. I did not have a respectful relationship until my Senior year in high school. I had finally found a God-honoring relationship with a young man who loved Jesus and truly cared for me and I for him. However, when this relationship ended, I was more than distraught. I was torn apart from the inside out. I had put this guy on a pedestal and thought he was the real deal, “the one”. I had once again put all my eggs in one basket, thinking this was the man I would marry, instead of seeking Jesus to reveal to me in His timing, not my own. After many months of praying, studying the Bible, and trying to get over this man, I started looking into online dating. Keep in mind, online dating does not always work and is not for everybody. I don’t recommend getting into it unless you are serious to find your future spouse and you know most of the men in your area just aren’t what you’re looking for. Anyways, at nineteen years old, I hopped onto plentyoffish.com and answered all the questions and put in really cute pictures of myself hoping that this would be it. If I couldn’t find a decent guy on the internet within 100 miles of myself, then I might as well give up, right? I had lots of messages from guys and a few dates here and there, but nothing that made me think to continue to pursue it. Then one day, you guessed it, this super cute guy with icicle “Frozen” eyes messages me, “Hey I’m new on here, but I was really impressed by your profile! Especially your love for Jesus! 🙂 how long have you been a Christian?” Exactly like that, smiley face and all. We actually saved our first conversations from the site so that we could always look back and laugh at how dorky we were. June 6th, 2016, we had our first date. We met at Carter Park in Bowling Green, Ohio. He made me chicken curry, and it was delicious! I was impressed with his eagerness to discuss Jesus, his goals, his family, and his life in general. He was sweet, he even gave me roses, water, cotton candy, and pretzels to eat on my hour and a half drive home. He had lived a life as well. He had his heart broken just as much as I had. He knew what it was like to be in a relationship with somebody that you truly thought was going to be the only one you’d ever be with from that point on, just to have it all stripped away from you again. We knew early on that we weren’t interested in casual dating, we wanted to date to eventually be married. We put a title on it, and dated for six months. While no relationship is easy, we both knew within a month that we loved each other and that God told us to be married. Christmas Eve, 2016, Ethan got down on one knee at my parent’s house and asked me to be his wife. I bawled like a baby, so I never posted the video of when it happened. I honestly never believed it would happen to me. The next nine months were even harder, full of planning my own wedding and letting the fact that I would soon be a wife, sink in. Engagement is the time of your life when you know who you are going to be intimate with, but you can’t indulge in that. You have to prepare yourself for your wedding night after all the years of trying your hardest to remain pure and modest. It is no simple task, and it can certainly weigh on your relationship. Thankfully, Jesus saw us through the entire nine months. He gave us grace, patience, understanding, and strength when we had none left in us. Honestly, Ethan was a champ through all of my breakdowns and days that I had simply had enough. Ethan still loved me when I was hard to love. September 24th, 2017, we said “I do”, and promised ourselves to the other forever. We made a covenant not only with each other but with God. We danced and we celebrated with family and friends. In my head, it was the perfect day for the beginning of our “perfect” marriage. Let’s be honest though, no marriage is perfect, just like no person is perfect. So when you put two imperfect people together and make them one flesh, it is no easy process. The first four months of our marriage were hard. After you get back from your honeymoon and go through the lovey-dovey phase of always saying “My husband this,” and “My husband that,” reality hits you with the fact that this is truly the person you will wake up to every day, go to bed next to every night, the only person you will ever be intimate with, and so much more. You see each other’s flaws and you learn more about your spouse than you do any other person. It was truly challenging to look at Ethan or for him to look at me and see all of the potential in each other, but not fully measuring up to it yet. It put a lot of strain on our marriage, our conversations, and our intimacy. After four months of arguing and little things being made into big things, Ethan and I both took a hard look at ourselves in the mirror to find that we were both selfish. We both wanted to be right and point out each other’s wrongs, instead of allowing God to minister in our hearts the best parts of the other person. We both had to learn how to stop thinking of our own wants and put the other persons in front of our own. We are by no means perfect, and some days certainly feel like an uphill battle. However, now we can wake up to each other and I can see that Ethan is working hard to love me more than himself, while I do the same for him. I know I talk about this book a lot, but seriously Timothy Keller’s book “The Meaning of Marriage” was what jumpstarted us trying to detox selfishness from our marriage. In this book, he discusses allowing your spouse to have “a hunting license” for you. Giving your spouse a hunting license grants them permission to point out the parts in yourself that you need to work on. It is hard at first because sometimes we don’t want to be brutally honest or we don’t like to hear what they might criticize about us. After a while, it eventually became gentle and understanding conversations. We learned that the other person obviously wanted us to become the best version of ourselves instead of just trying to pick and prod at the parts of us that we wanted to hold on to. I am so proud of my husband, for loving me as Christ loves the church, and putting my needs before his own. Our marriage is no Hallmark Christmas movie, cheesy and flawless in every way. It is our own though, it is one hundred percent our marriage. Once we realized that there would never be an opting out option, we knew we had a whole plethora of “self” we had to rid ourselves of. Not just for ourselves or for our marriage either, but for a deeper understanding of who Jesus is and how much He loves us. I love a good story, romance is the best! I would loveeeeeee to hear more though! Please feel free to send me your own love story of how you and your husband overcame your own struggles to create a more loving and forgiving marriage. 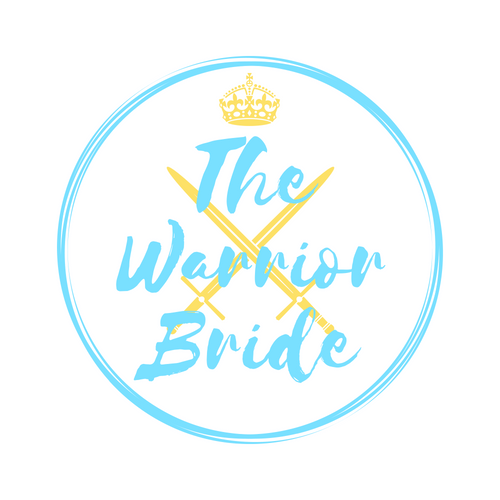 For any questions and to send in your love stories, email me at thewarriorbride24@gmail.com.